Rabbi Adrian Michael Schell is Bet David’s rabbi since 2014. In addition to his pulpit at Bet David, he is a member of the SA Zionist Federation ManCom. Rabbi Schell was ordained from the Abraham Geiger College, Potsdam/Berlin in Germany. Born and raised in Germany, he worked as a bookseller and key account manager in Munich, before deciding on a career change to the rabbinate. Having worked in a number of Progressive congregations in Germany and abroad during his rabbinic training, which included a year at the Conservative Yeshiva in Jerusalem, he worked as well as the national youth director (Rosh Netzer Germany) for the Progressive Jewish movement in Germany (UpJ) and served the Progressive Jewish congregation in Hamelin, Germany as Rabbi, before his move to Johannesburg. Rabbi Schell earned a bachelor’s degree in Jewish and Religious Studies, and a Masters degree in Jewish Studies. His thesis dealt with the issue of adoption of children in the Hebrew Bible, and in the context of religious law (Halacha). Rabbi Schell is a member of the South African Association of Progressive Rabbis (SAAPR), the Central Conference of American Rabbis, and is an associated member of the German General Rabbinical Conference. Rabbi Schell is a founding member of Arzenu Germany and Hillel in Germany (Hillel International). He is married to Chayim Schell. Rabbi Hillel Avidan, Rabbi Emeritus of Bet David. He served Bet David in Sandton for 11 years from 1992 to 2003, when he retired. He is Rabbi Emeritus of Bet David. 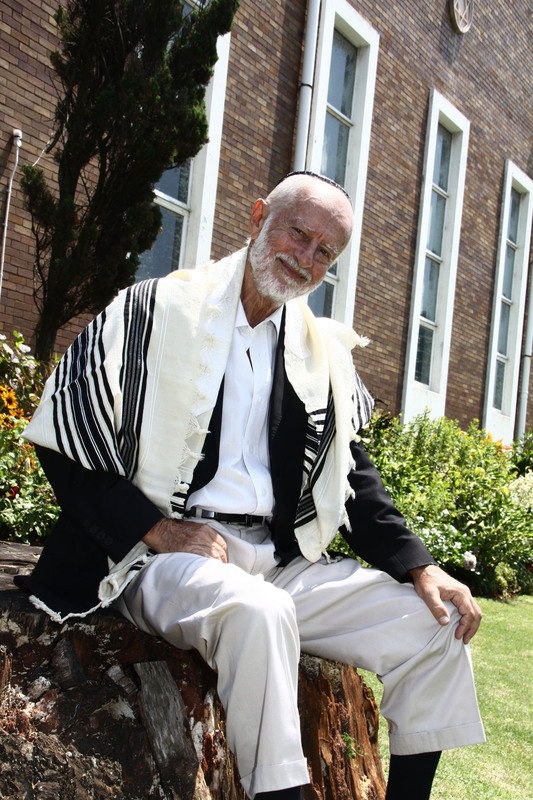 In 2005, he came out of retirement to serve the Durban Progressive Jewish Congregation and intends to stay there for as long as he is needed. Rabbi Avidan was several times the chairperson of the SAAPR. He was formerly the national Jewish representative and chair of SAFCEI. He is on the executive of the KZN Inter-religious Council and is a patron of the Archbishop Hurley Centre in Durban. 1965-67 RABBI OF GLASGOW NEW SYNAGOGUE, Glasgow, Scotland (First Term). 1967-68 Teacher at Reali High School, Haifa, Israel. 1968-69 Art Dealer, Actor with Teatron Ironi, Haifa, Israel and Israeli Television. 1970 Assistant Librarian in University of Haifa, Israel. 1970-74 RABBI OF GLASGOW NEW SYNAGOGUE, Glasgow, Scotland (Second Term). 1974-81 RABBI OF WIMBLEDON & DISTRICT SYNAGOGUE, London, UK. 1982-83 RABBI OF SHAAREI SHALOM, Manchester, UK. 1983-84 Educational Consultant: Religious Adviser to Paramount Pictures. 1983-87 Lecturer NW London Evening Institute, London, UK. 1984-86 Proprietor Avidan Estate Services (landscaping), SW London, UK. 1984-87 Visiting Rabbi to Bristol & West Progressive Synagogue, UK. 1985-89 Lecturer ULPS Evening Institute, London, UK. 1985-92 RABBI OF WEST CENTRAL LIBERAL SYNAGOGUE, London, UK. 1986-92 RABBI OF EALING LIBERAL SYNAGOGUE, London, UK. 1992-2003 RABBI OF BET DAVID, Sandton, South Africa. 1961-64 Founder and Director of RSGB Summer Camps. 1974-80 Director of Hebrew Studies – Merton Education Department. 1975-83 RSGB Spokesman on the Environment. 1977-79 Treasurer of Wandsworth & Merton Interfaith Group. 1978-79 Chairman of Merton Anti-Racism Campaign. 1978-80 Chairman of RSGB Assembly of Rabbis. 1978-81 Vice President of Wimbledon Council of Christians & Jews. 1985-92 ULPS Spokesman on the Environment. 1986-92 Executive of Jews Against Apartheid. 1990-92 Chairman of ULPS Rabbinic Conference. 1992- Executive of Southern African Union for Progressive Judaism. 1995-99 Chairman of Southern African Association of Progressive Rabbis. 1995-99 Executive of South African Jewish Board of Deputies. 1996-97 Chairman 1997 World Union Convention Steering Committee. 2007 – 2008 Chairman of South African Faith Communities Environmental Institute.